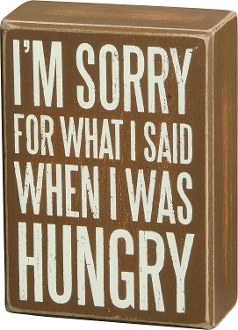 Box Sign - Im Sorry 5.5" x 4"
Our Products >> Box Sign - Im Sorry 5.5" x 4"
Box Sign - Im Sorry 5.5" x 4". Done in Golden brown with white print. Sure to please over this holiday season!